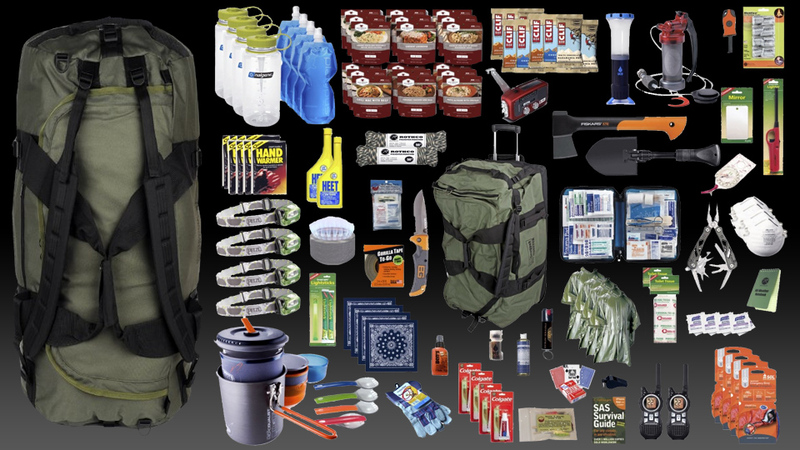 Purchasing gear for a bug out bag can be quite a daunting task, especially given the fact that we most likely have never been in such a situation to have needed it. We are often haunted by the question that when we get out there in a real crisis scenario: what is that one thing that we should have packed? Especially for putting together a bug out bag, it is important to ask yourself what sensible balance is acceptable of several ratio-type questions. For instance, what is the balance between time and comfort? Or, what is the balance between mobility and preparedness? You need to have a clear picture of why you need this particular bug out bag and how to adequately supply it. 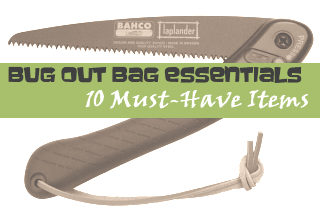 Usually, these balances boil down to the compilation of the most common types of Bug Out Bags. 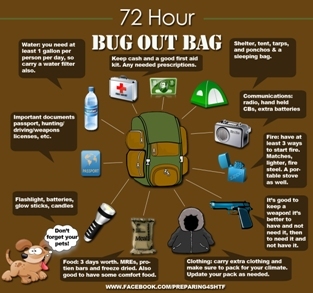 Keep in mind that these types of bug out bags are worlds apart. There is the 72-hour bug out bag, which we refer to as an every day carry bag. Then there is the Bug Out Bag required for sustainability. In other words, what you have on your back is all you've got. A 72-hour bag is purposed exactly the way it was named: it should be crafted to get you through a 72-hour survival scenario. The reason why many survivalists pick the 3-day window is because in most cases, you will be rescued and back in civilization by the third day. Also, packing for 72 hours is rather easy, as there are a few categories of provisions that you can survive without over the course of 3 days. Any amount of time beyond that, and you’re going to need to pack differently. The reason why we’re looking at time vs. comfort is because the less time for which you are preparing, the fewer creature comforts that will be in your pack. If the pack is designed for a week or a month, then you’re going to need more gear that adds to your comfort and sustainability. However, this balance does not address the medical and first aid aspect of your 72-hour kit. In fact, you might even be compelled to overdo your kit’s medical supplies, especially because if you are stuck in a 3-day survival scenario, then there’s a good chance you’ve already sustained injuries. Do yourself a solid favor and go heavy on first aid and medical supplies! This is your "I'm never coming home bag". Let’s be real here folks. Of course at some point you will go back. The fire will burn itself out, the earthquake will stop, the hurricane will blow over, the great flood will recede, and the fighting will end, it just may take longer than you think. If you establish a life elsewhere and do not wish to return you can yes, a treasure map and make sure you keep it in your bug out bag. Don’t rely on GPS as the satellites may be down. This is the mindset: I’ll come back here someday, at least to get my stuff. There is no ‘one-size-fits-all’ pack that will work for every single scenario. This is the one of the biggest common misconceptions that preppers often have, and it’s to the detriment of their peace of mind and bank accounts. It is best to have several packs for different purposes, allowing you to have more numerous, more accessible and more complete options when you may come to need them. When you’ve prepared beforehand, your chances of survival are much better!